Even though quality is inconsistent, 2017 produced a number of tremendous wines. Yes, the April frost was devastating in many places, but there is so much more to understanding 2017 than just those few horrific days. Two thousand seventeen is, in my opinion, very clearly a Right Bank vintage. While many properties were adversely affected by frost, there can be no question that one of the results of the frost was a natural selection that sacrificed lesser vineyards in favor of sites with greater pedigree. A number of 2017s on the Right Bank are positively thrilling. Over on the Left Bank, the finest 2017s are polished and refined. Examples include Montrose, Haut-Brion and Léoville Las Cases, all of which are more sensual than they usually are at this stage. Even so, I can’t say I tasted too many wines on the Left Bank I would call extraordinary or absolute must-haves. Lastly, 2017 is a fabulous vintage for Bordeaux’s dry whites and almost as good for the sweet white wines. This article covers wines from the Left Bank. My preference is to taste Bordeaux en primeur as late as possible, because the young wines often change for the better as the spring progresses. I tasted all of the wines in this article between April 9 and 20. These ten 2017s left a deep impression on me. They aren’t necessarily the highest-scoring wines in this article, but rather wines that made a deep emotional impression. Ausone – Alain and Pauline Vauthier, along with cellarmaster Philippe Baillarguet, and their team made one of the most hauntingly beautiful wines of the vintage. The 2017 Ausone is deep, layered and simply exquisite. 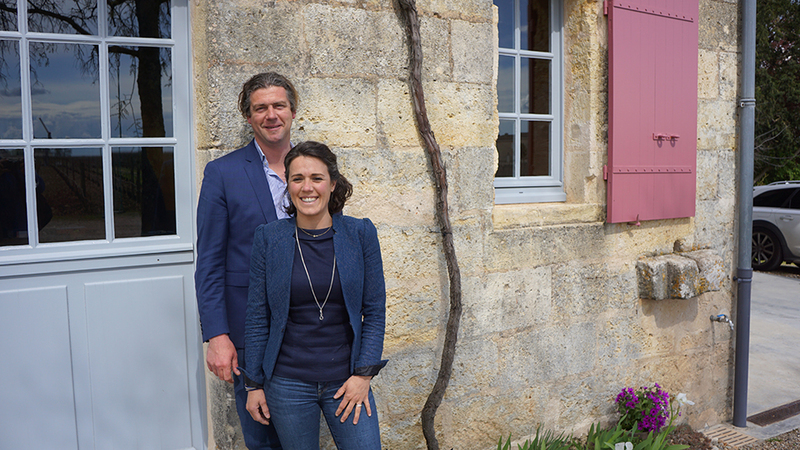 Canon – Nicolas Audebert and the team at Canon follow up their superb 2015 and 2016 with a 2017 that is not too far behind, and that will certainly offer more immediate pleasure than either of the two preceding vintages. Lafite-Rothschild – All of the wines in the Lafite stable are strong in 2017, but the Lafite-Rothschild Grand Vin is simply magnificent. Perhaps even more importantly, it leads the class in Pauillac and could turn out to be the most complete of the First Growths. Lafleur – Baptiste and Julie Guinaudeau crafted a spectacular Lafleur that stands out for its intensity, textural resonance and pure pedigree. Léoville Las Cases – Usually a much more potent, brooding wine, Léoville Las Cases is cool, sophisticated and super-refined in 2017. A terrific showing from proprietor Jean Hubert Delon. L’If – Cyrille Thienpont is taking L’If to new heights. In 2017, I preferred L’If to the much more famous (and expensive) Le Pin. 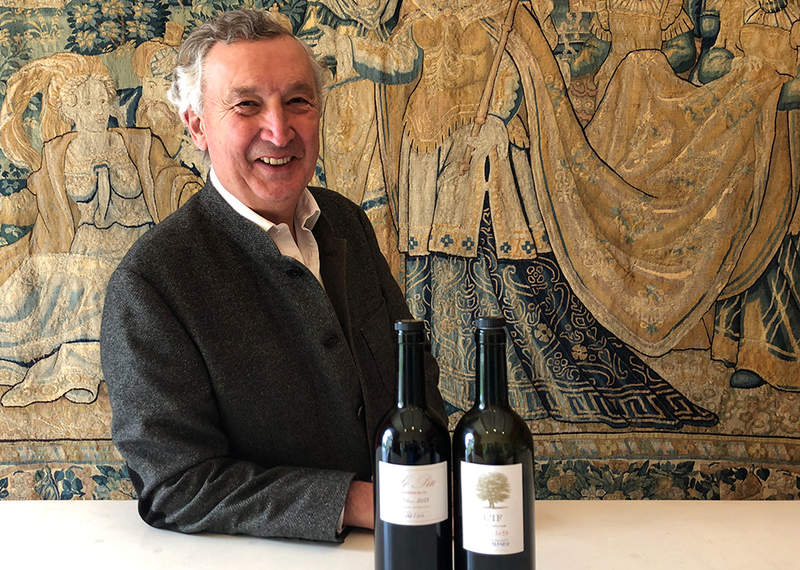 Pape Clément Blanc – In recent years, Bernard Magrez has given his wines a bit more finesse and energy than in the past. The 2017 Pape Clément Blanc is striking in the way it conveys both freshness and the textural intensity that is one of its key signatures. Petrus – From the very first taste, it is evident Petrus is one of the wines of the vintage. All of the elements are simply in the right place. After that, a discussion with Jean-Claude Berrouet on climate change, its effect on grape tannins and the implications of that as it pertains to the use of new oak, followed by an equally spirited conversation with Oliver Berrouet on the NFL draft made for one of the more interesting visits I have had in Bordeaux in a long time. 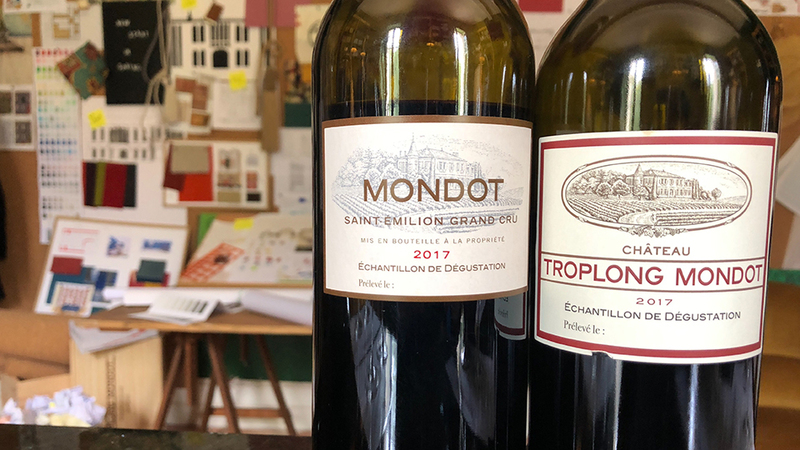 Troplong Mondot – New CEO Aymeric de Gironde (formerly of Cos d’Estournel) and consulting oenologist Thomas Duclos are masterminding a remarkable new chapter in the life of Troplong Mondot. A major stylistic shift in the direction of freshness and energy has resulted in a positively stunning Troplong Mondot that is one of the wines of the vintage. Vieux Château Certan – A more than worthy follow up to the 2015 and 2016, the 2017 VCC is a rapturously beautiful wine loaded with class. While much of the conversation surrounding the 2017s focuses on the effect of the devastating April frost, the keys to understanding the vintage are far more complex and nuanced. With the exception of a very cold January, the winter of 2016/2017 was warmer than average. Perhaps even more importantly, rainfall was well below historical averages. Budbreak was about two weeks earlier than normal. A sunny, warm and very dry April encouraged rapid growth of the shoots. Temperatures dropped precipitously starting in mid-April, reaching frost-level lows on the 20th and 21st and then again on the 27th and 28th. The second episode of frost inflicted severe damage, precisely because the vines were in an unusually advanced stage. In other words, in a more normal year, frost damage would have been more limited because the vines would have been less exposed. Low-lying areas, where humidity is highest, were most heavily affected, while mid-slopes, plateaus and hillside sites were spared the worst. Estates near the Gironde benefitted from the moderating influence of the river. The range of damage was anywhere from 0 to 100%, with most of the heaviest losses inflicted on less well-known appellations. In some cases, second generation buds appeared later, but the quality of fruit at harvest was mixed, at very best. 5) Fine (dry and medium-warm) weather during the harvest making it possible to pick at full ripeness without running the risk of dilution or rot. Unusually overcast, dry weather and warm nights with compact diurnal shifts marked most of July. Although, not especially favorable for red wines, these conditions would prove to be quite conducive for the whites. Mid-véraison was observed at the end of July, 10-14 days earlier than normal, in vineyards that were not damaged by frost. Development was naturally much more uneven in vineyards that had been hit by frost. August was also dry and mostly cool, but with higher than average temperatures at the beginning and end of the month. By this point, hydric stress started to become an issue in red wine vineyards. Harvest for the whites started around mid-August. The cool weather of both July and August helped the grapes preserve quite a bit of freshness and overall energy. Overcast, cool, rainy conditions characterized the beginning and middle of September, while temperatures remained lower than normal. Significant rain from September 7 to 9 is one of the defining elements of 2017. Because of the early maturation of the fruit, the September rain created significant challenges for the early-ripening Merlot and Cabernet Franc, both of which were severely compromised. As grapes bloated, producers were forced to pick fruit before it had ripened fully. Moreover, the September rain was heavier in some sectors, most notably the northern Médoc, than it was elsewhere. The later-ripening Merlot, especially those parcels planted on well-drained soils, and the Cabernet Sauvignons benefitted from extra hang time and much improved conditions towards the end of the month. In the cellar, most technical directors opted to lower temperatures in fermentation and extended the time the young musts spent on the skins with the intent of avoiding extracting hard tannins that mark other vintages affected by heat stress, most notably 2011, while at the same time making press lots that could later be added back into the wines later to give them more mid-palate richness. In general, winemakers tended to work the wines less, which meant fewer volumes of pumpovers and fewer punchdowns and délestages. Because of the challenges the late season rains presented, where possible, producers built their blends with a higher presence of Cabernet Sauvignon than is the norm. In tasting, the 2017s are mid-weight, fruity wines. In many cases, the 2017s are built on an axis of persistence and length, rather than textural opulence. Red-toned fruit and lifted, floral aromatics are typical. Alcohols are a bit lower than they have been in the recent past. Stylistically, the 2017s are reminiscent of the 2014s, but with a bit more flesh. In some cases, the 2017s come across as smaller-scaled and more accessible versions of the 2015s. Today, the impression is of a vintage with mid-term aging potential, but time will ultimately be the judge of that. As I noted above, a number of wines, especially on the Left Bank, are unusually gracious. April frosts were devastating to a number of properties in Pomerol, Saint-Émilion, Fronsac, Côtes de Castillon and Montagne Saint-Émilion. As is the case with frost, lower-lying parcels were the most vulnerable. There are quite a few châteaux that made no wine in 2017. In other cases, frost crippled lesser parcels (those on the plains and lower slopes), but spared those on the upper slopes or plateaus. As a result, there are numerous examples in which properties made wine from only some of their vineyards, which also happen to be the better parcels. At these properties, the wines are often terrific, and in the most extreme cases, better than average. And that is the paradox of 2017 on the Right Bank. In the very best sites, and where producers were not crippled by the many challenges of the growing season, the wines aren’t just good, they are often stellar. It all came down to location in 2017. I tasted a number of terrific 2017 Pomerols, including La Conseillante, L’Évangile, Pétrus, L’Eglise Clinet, Feytit-Clinet, Le Pin, Lafleur-Pétrus. Vineyards in less privileged sites did not do so well through spring frost and dry summer. Frost was a big issue in lower lying vineyards and resulted in a sort of natural selection. As an example, Lafleur-Gazin is stronger than usual because only the slopes and plateau made it through the frost. As in Pomerol, the range of wines is quite variable. Some sites frosted completely, including the Vauthier family’s Simard, Haut-Simard and de Fonbel. At other properties, yields are down dramatically. At Puy-Blanquet the crop is down 50%, because the lower lying parcels all frosted. A more extreme example can be found at Fleur Cardinale, where production is down sharply from a typical 60-70,000 bottles to just around 1,000 magnums. As for the wine, it is positively stunning. Cheval Blanc suffered quite a bit of frost damage. As a result, the 2017 contains a high percentage of Cabernet Sauvignon. On a brighter note, Ausone, Figeac, Troplong Mondot, Pavie and L’If are among many highlights in this vintage. Two thousand seventeen is a tough vintage for Left Bank Satellites. Fronsac, Côtes de Castillon and Montagne Saint-Émilion all sustained significant damage. Some wines were not made at all, while others show the perceptible influence of frost. On the left bank, where châteaux have over the years and decades often expanded their holdings, the effect of the frost was in many cases limited, in part or whole, to vineyards used for second and/or third wines. As in 2015, Saint-Estèphe was penalized by late season rains. Whereas southern appellations in the Médoc received 60-70mm of rain in September, that number was in the 100-120mm range in Saint-Estèphe. The rains were especially punishing for Merlot and Cabernet Franc. Grapes bloated and skins became fragile, which forced châteaux to harvest as soon as they could. The Cabernet Sauvignons were able to hang on for a few more weeks, although disease pressure became an issue towards the end of the growing season and required careful sorting. As a group, the 2017 Saint-Estèphes are a bit lacking structure and depth. The best examples are delicate and quite refined, while lesser wines show clear signs of dilution. Montrose and Cos d’Estournel are at the head of the class. Pauillac turned in a strong performance in 2017, even if the wines naturally aren’t at the level of the very finest vintages. 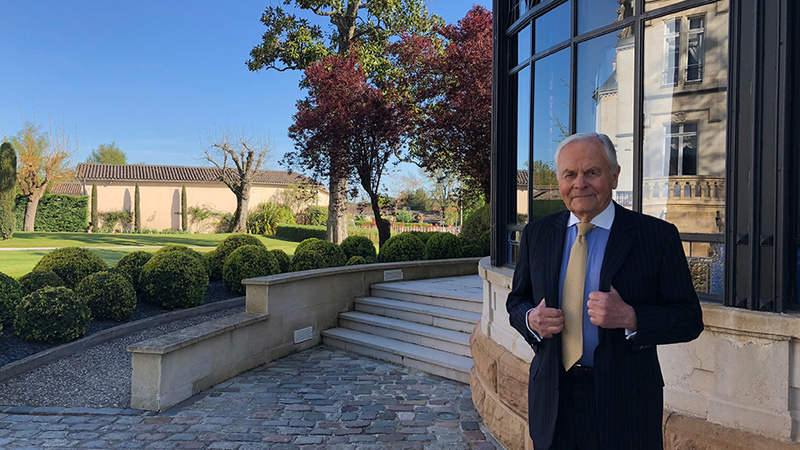 This year, I was especially struck by Lafite-Rothschild, which stands out for its performance relative to the recent past and with respect to the other wines of the appellation. All of the wines in the Lafite stable are of note in 2017. Pontet-Canet, Lynch Bages and Mouton Rothschild are all strong. I found quality inconsistent in Margaux, although there are plenty of bright spots, most notably Palmer, Château Margaux and Marquis de Terme. I tasted a few wines that lack depth and others that are at present penalized by hard tannins. 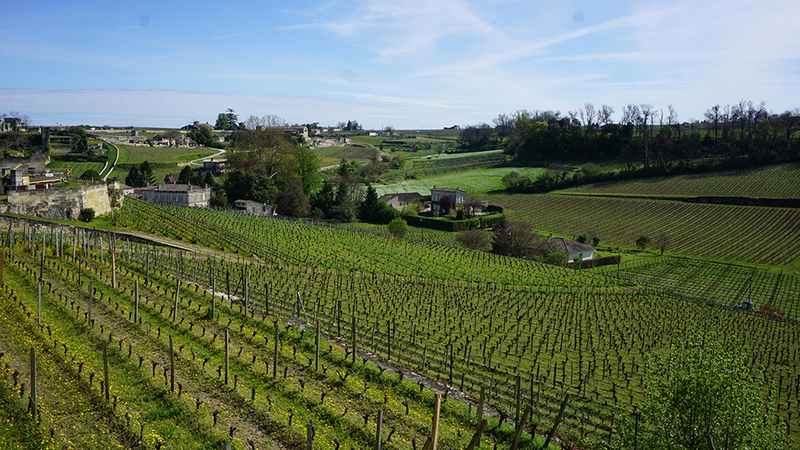 Saint-Julien is once again the most consistent appellation in the Left Bank. Of course, Saint-Julien is helped by its small size. That must be acknowledged. And not all Saint-Juliens are strong in 2017. Even so, the highest concentration of compelling wines in the Left Bank is clearly found in Saint-Julien. The three Léovilles are terrific, as is Ducru Beaucaillou. Branaire-Ducru is all class, Beychevelle is an exotic beauty, Gloria delivers serious quality for the money and St. Pierre continues to impress. Pessac and Léognan are often grouped together and spoken of as one appellation, but they are, in fact, two towns separated by 11 kilometers and defined by different microclimates. In 2017, the severity of the April frost makes it impossible to speak about Pessac and Léognan as one region because weather conditions and the wines are so different. Smith Haut Lafitte (both white and red), Pape Clement (both white and red) and Les Carmes Haut Brion lead the way. Domaine de Chevalier excelled with the white, but the red has been very awkward in numerous tastings, as if the wine were shocked. At La Mission Haut-Brion and Haut-Brion the reds are unusually supple. The 2017 dry whites are terrific. Overcast, cool conditions over the summer turned out to be quite positive. In tasting, the 2017 whites are bright and focused. Many wines have a distinct stony quality in the mid-palate and overall feel that recalls the structure of red wines. Conditions were also generally favorable for noble rot and the production of sweet wines. Frost was a factor at some properties, including Climens, where there is no wine in 2017. So, How Is It Going to Work With You and Neal?? This is the question I heard at nearly every Château during my tastings of the 2017s from barrel. 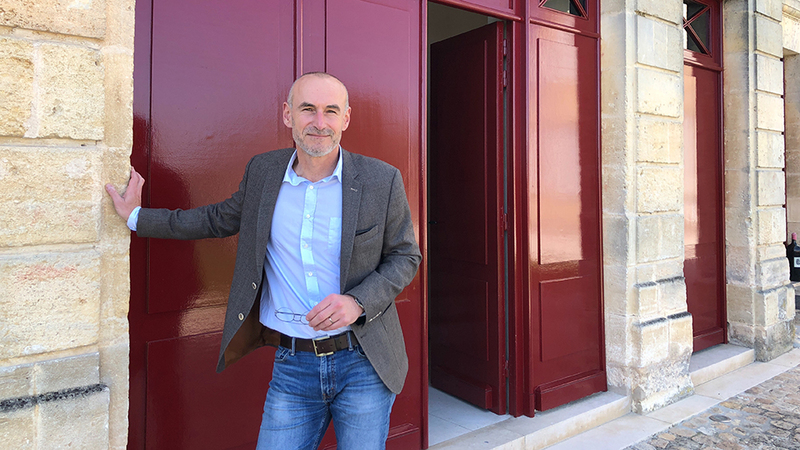 I hope readers won’t mind if I share my thoughts on adding Neal Martin to the Vinous team, and our plans for Bordeaux coverage going forward. To frame the answer, let me first take you back to some of my early influences. You may know that my first career was in music. I did not go to university, but instead attended Berklee College of Music in Boston, which is widely recognized as the top school in the world for contemporary music. Little did I know at the time that my four years at Berklee would deeply shape the way I think about many things to this day. Miles Davis was one of my greatest influences during those years. 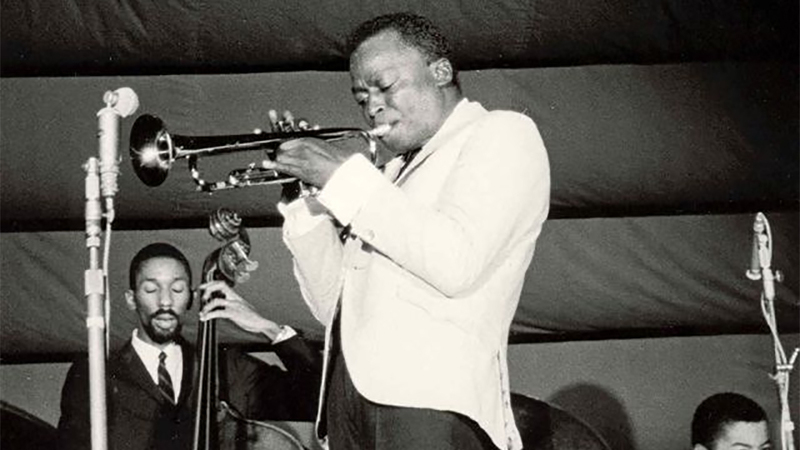 Among other things, Miles was consistently at the avant-garde of musical styles, he always surrounded himself with the very best talents, and he discovered legions of young musicians who went on to enjoy stellar careers of their own. Later on, I was deeply influenced by leaders in the business world. In a commencement address to Stanford graduates in 2005, Steve Jobs said “Your time is limited, so don't waste it living someone else's life.” That is why I never wanted to be a copy of someone else, and the thinking behind how Marzia, James, Alex and I founded Vinous in 2013. Since then, we have worked diligently to bring those Miles Davis and Steve Jobs-inspired ideals to Vinous with the goal of being completely original. We are not constrained by the old-fashioned thinking of others. Where some people see a ceiling, we see a floor. Vinous is a story of firsts. Since our inception, we have completely redefined what a modern wine publication should be. Vinous was the first major wine publication to publish new articles every day, rather than in large masses every other month. Vinous was the first to have a mobile optimized website and then to release a full-featured app for iOS and Android. We had firsts in mapping with our interactive Piedmont maps and then created the first-ever vineyard maps of Napa Valley. With Delectable, our sister social media app, we became the only publication in the world that offers wine lovers a database of over 250,000 professional reviews and 7 million user reviews. For each region that we cover, we have critics who are the first point of reference. With Neal joining the team we have another first: the first time a top wine publication has had two concurrent reports on a major region that receive equal billing. Our aim for Bordeaux, as with every region we cover, is for Vinous to be the first destination that consumers go to for wine insight. Neal and I have authored separate and independent articles on the wines of Bordeaux. Neal’s recent report on the 2017s is one of the most deeply researched and well-written articles I have ever read. We are proud to have published it. Neal and I did not discuss a single wine, or, in fact anything about the 2017s before we published our respective articles. We will be doing a series of videos together soon on our favorite wines and sharing more thoughts on where we agree and disagree in order to give readers even more perspective on how we view the 2017 vintage and wines. That’s the way it is, and the way it is going to be for the foreseeable future.